Like mother, like daughter! Beyoncé looked exactly like Blue Ivy when she was seven. Beyoncé’s daughter Blue Ivy Carter was once thought to be the spitting image of her father, rapper Jay-Z. But this throwback picture the singer posted on Instagram is proof the seven-year-old is growing up to be a carbon copy of her mother. 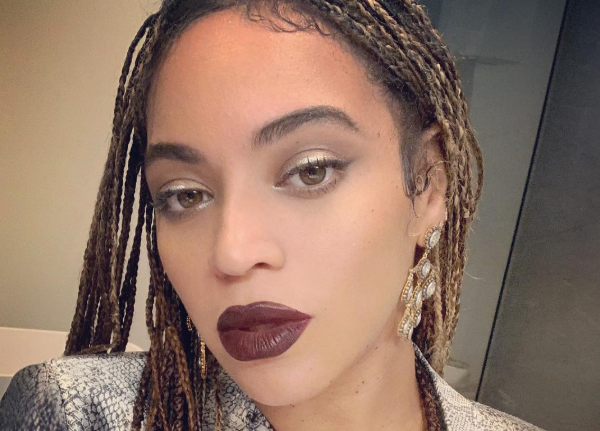 The ‘Drunk in Love’ hitmaker shared a side-by-side image of herself and her daughter both at the same age. “Someone made this comparison of me at age 7 and Blue at age 7. My baby is growing up,” Queen B captioned the adorable image. It looks like Blue not only looks like her mom but also has her creative eye. Beyoncé shared a set of photos of herself wearing a striped two-piece from Marques' Almeida. The pictures were taken by none other than Blue during an outing in Los Angeles this week. The shots look worthy of a magazine editorial. A proud Beyoncé captioned the photos with a 'heart eyes' emoji.